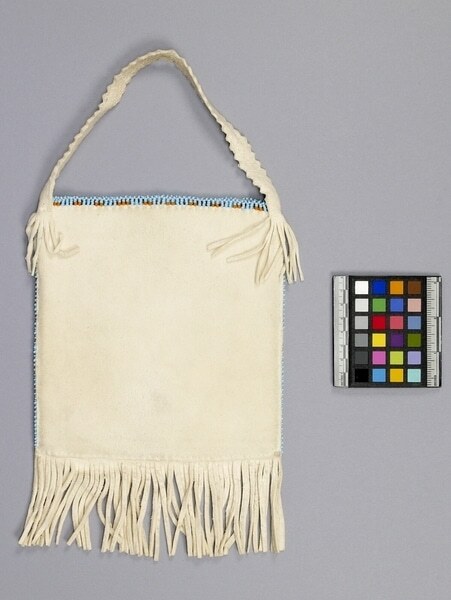 A white skin square bag with beadwork on one side, a zig zag edged handle, and fringe at the bottom. 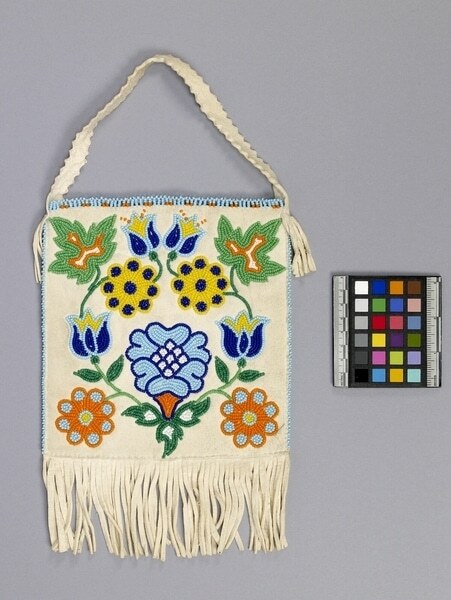 The bag is edged with light blue beads on the sides and light blue and orange beads on the top. The main beadwork design consists of an orange flower with light blue inside at the bottom corners, a light blue flower outlined with dark blue in the middle, a dark blue flower outlined with light blue and with yellow inside at the sides, two yellow flower with dark blue inside at the top middle, two more dark blue flowers outlined with light blue and with yellow inside above in the middle and a green maple leaf with orange and white inside at the top corners.